StencilGirl Talk: New stencils from Trish McKinney, Andrew Borloz, and Steven Skaggs! 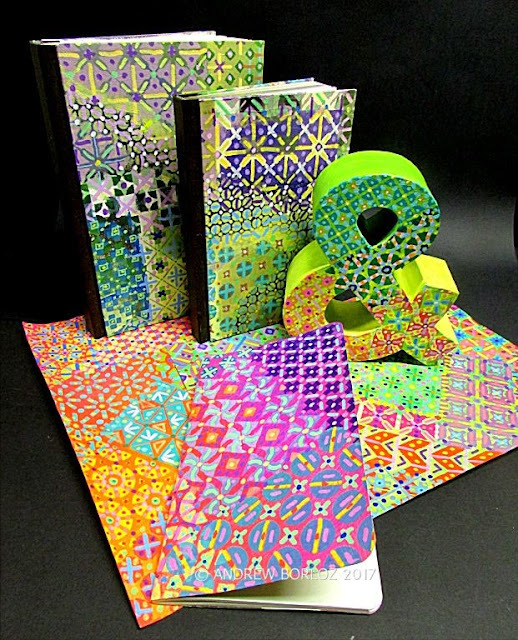 New stencils from Trish McKinney, Andrew Borloz, and Steven Skaggs! Feast your eyes! 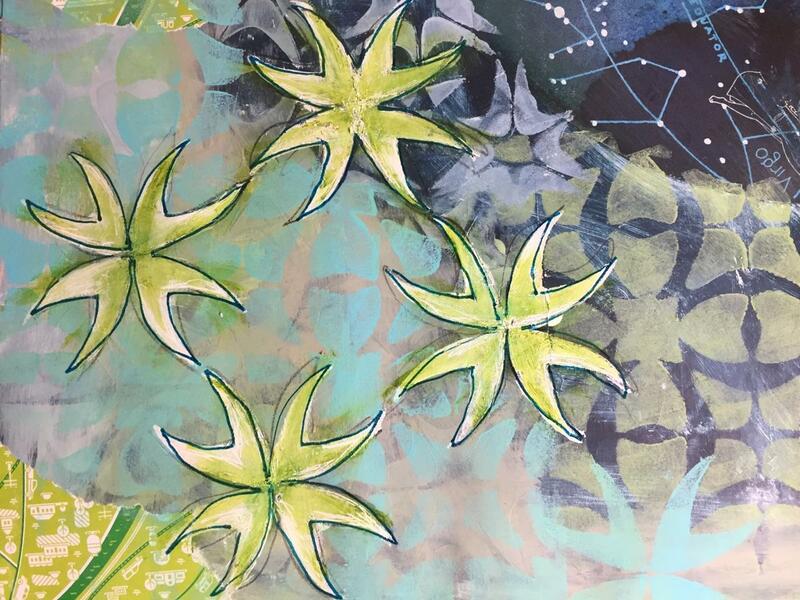 We are thrilled to present 23 new stencils from three designers/teachers you love ~ Trish McKinney, Andrew Borloz, and Steven Skaggs. 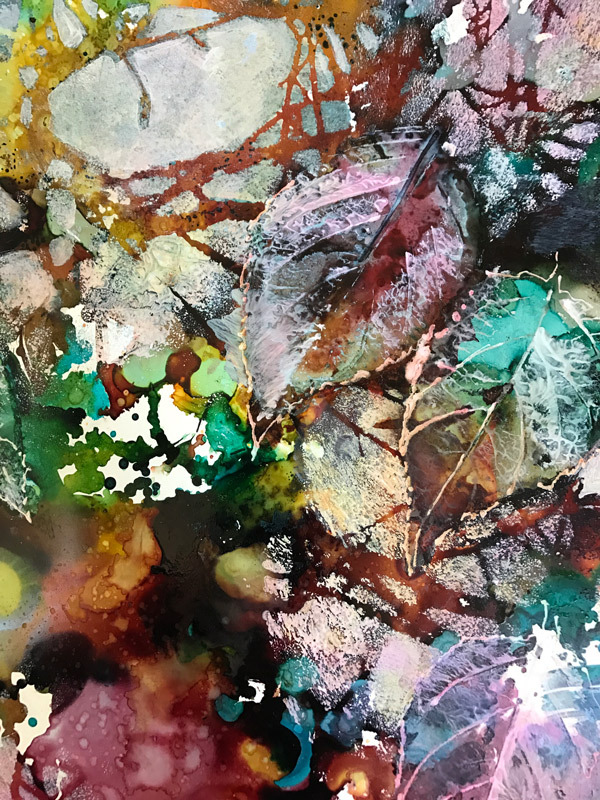 Captivated while looking at bare branches in winter, Trish McKinney designed 5 delicate stencil-masks to bring these intricate patterns into her abstract painting. 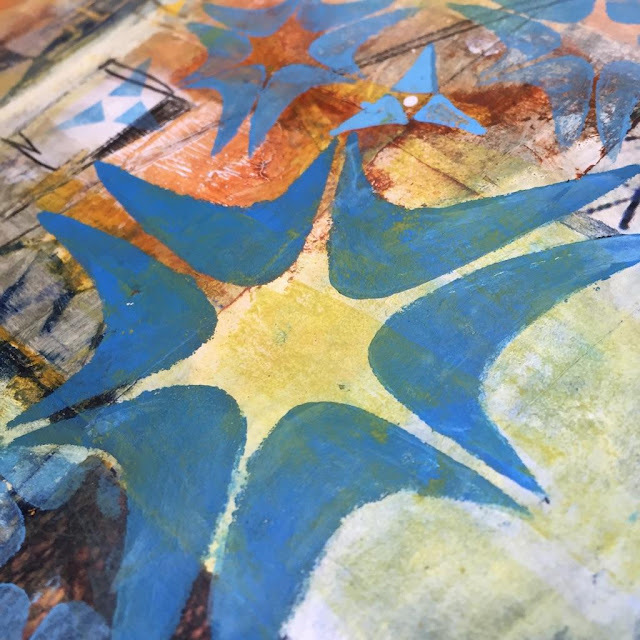 These stencil-masks are wonderful for art journaling and gel printing too! After the final flowers of spring have fallen, wisteria vines shape a different beauty that Trish McKinney captured in the 4 stencil-masks of her Mysterious Wisteria Collection, each with its own delicate pattern. 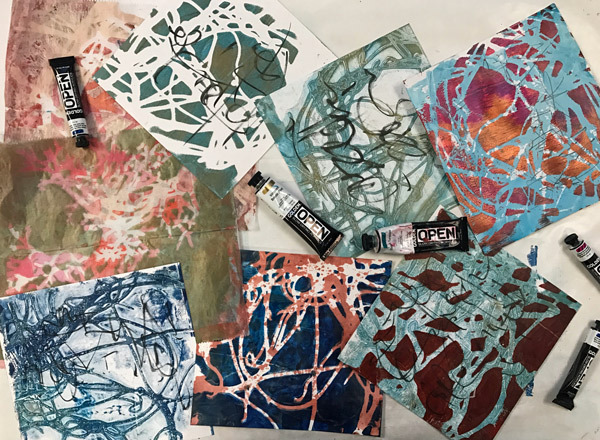 These stencil-masks are perfect abstract patterns for mark making in your mixed media painting. 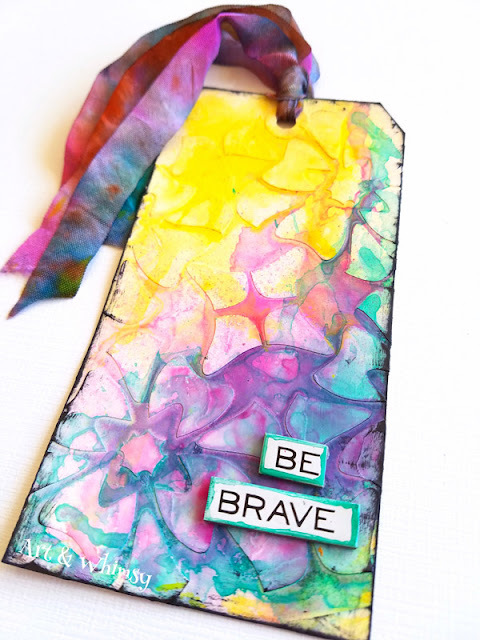 Pair with colors to add a luminous or vibrant quality to your art journal pages and gel print making. 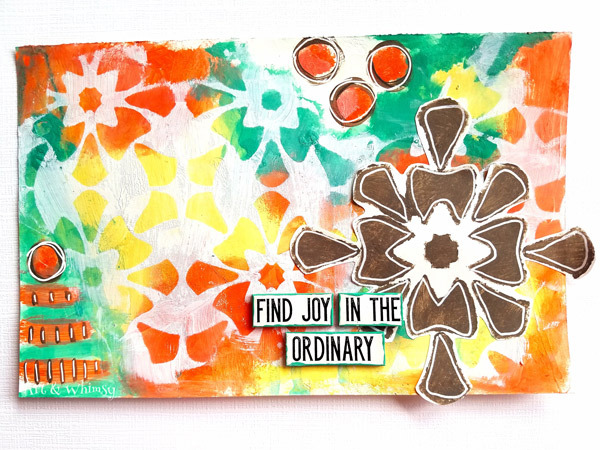 When you open a drawer of ribbons and it accidentally falls you can get frustrated or do as Trish McKinney did, adjust your creativity cap and envision stencils. Trish's Tip: Layer the 2 large stencils for a whole new stenciled pattern! 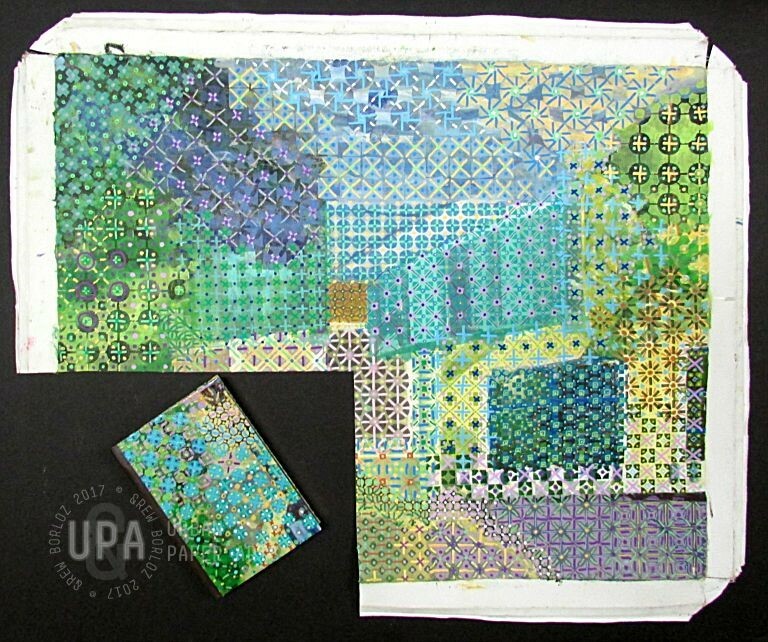 Andrew Borloz would like to share how he came up with the idea for his Crazy Quilt stencil designs. 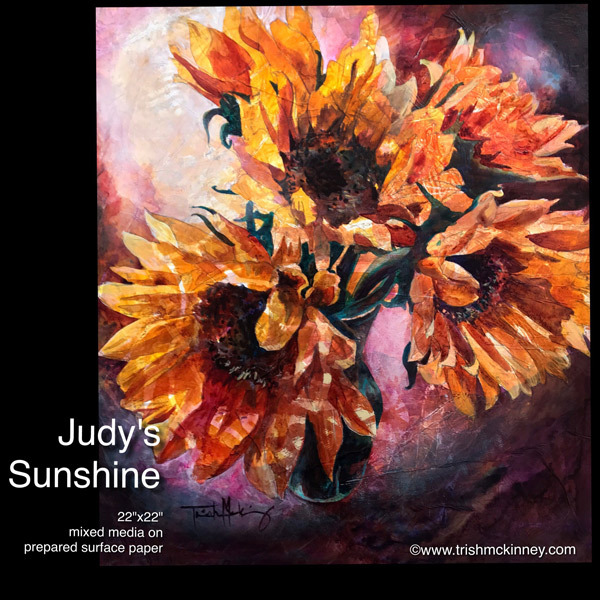 "Several years ago, I found a group of discarded student paintings at one of the campuses of an art school, and there was a note indicating that these canvases are free for the taking. I took a couple with the intention of repainting over the existing ones. One of them was covered with newspaper, and I spent hours scrubbing the old paints and collaged newspaper off it. It revealed a nice painting and I decided to use the lines as "boundaries" when I was stenciling over it. 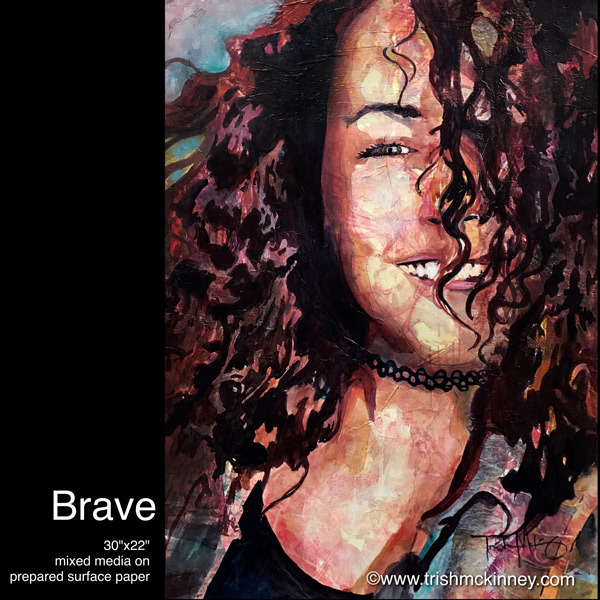 "I liked the final result so much that I decided that I would take the canvas off the frame and cut it up to be used as book cloth. The canvas size gave me enough book cloth for five blank journals in varying sizes. 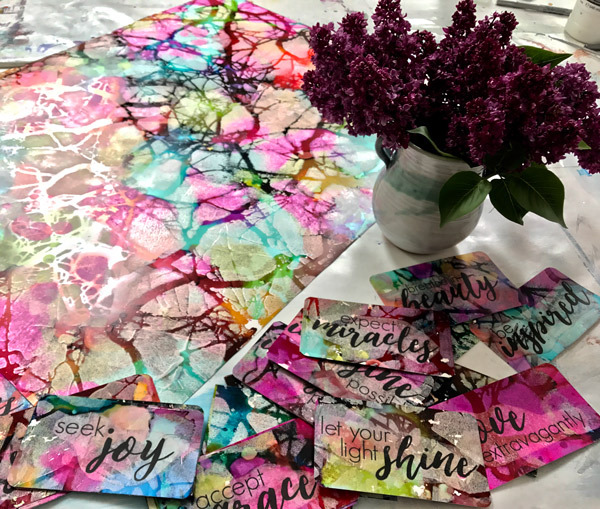 "I like the crazy quilt concept so much that I end up creating more patterns with various stencils that I designed for Stencil Girl Products. "I showed these projects in my Facebook page, and I have gotten requests for instructions on how to create these crazy quilt patterns. 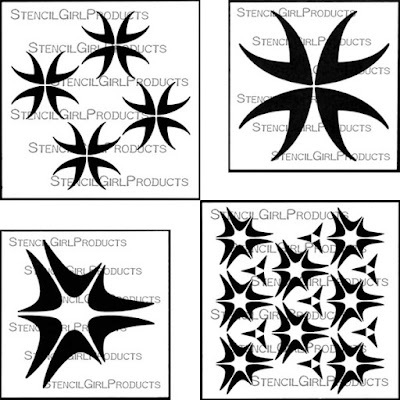 For most of my projects, I used at least four-five and sometimes seven different stencils. While working on these projects and thinking about how to teach, I realized that it may be quite cumbersome to use so many stencils for the crazy quilt patterns, so I've come up with an idea of creating crazy quilt pattern on a single sheet." Andrew's Crazy Quilt stencils are (left to right): Crosses and Rounds, Calm and Frenzy and Bold & Beautiful. Steven Skaggs' Rieven stencil series stems from his exploration with decorative devices, borders, and ornaments as he searched for patterns which would compliment his Rieven™ Unical Pro font. 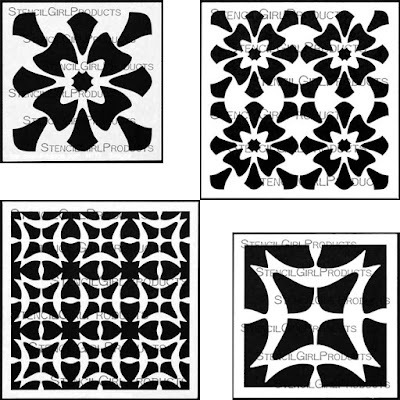 These small and medium stencils ideal for creating layers and backgrounds in large scale artwork and paper crafting. From the top: Harmony, Trefoil, Fleuron, and Toledo Glyphs. 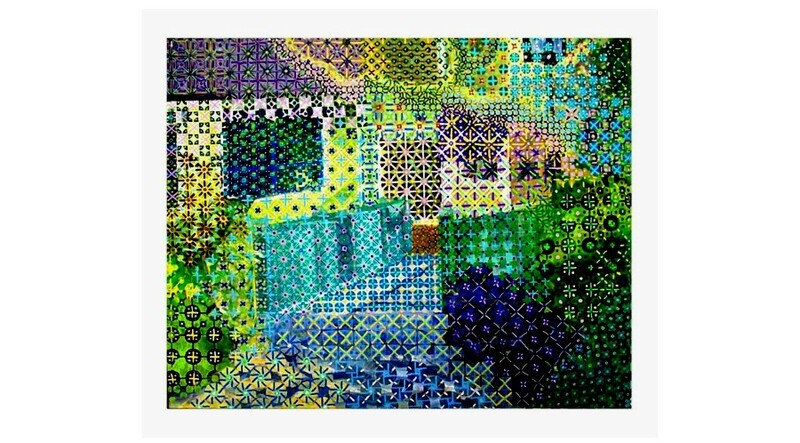 These Rieven designs are also available in 12" x 24" home decor sized stencils. We hope you are as delighted by these stencils as we are! You can check out all the latest stencils HERE, or click on the artist's name to go to their stencils: Andrew Borloz, Steven Skaggs, or Trish McKinney. Which stencils pique your interest the most? 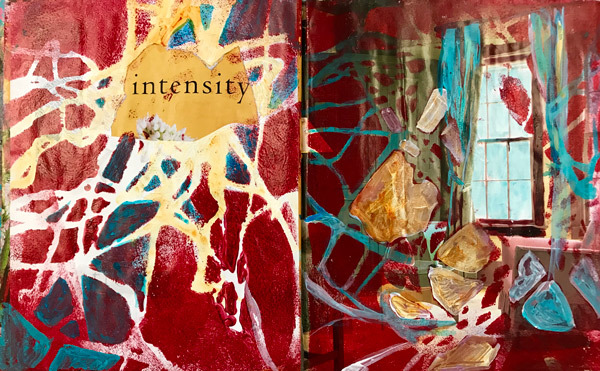 The ribbons and last stencils remind me so much of being in a slot canyon and looking up toward the sky and seeing all the layers and swirls in the rocks. I have spent hours in slot canyons and have hundreds of photos to work from. These stencils will definitely have to come live with me to play with. thanks as always for sharing. What an astounding group of stencils! Congratulationsh to Trish, Andrew and Steven for these designs they have created. 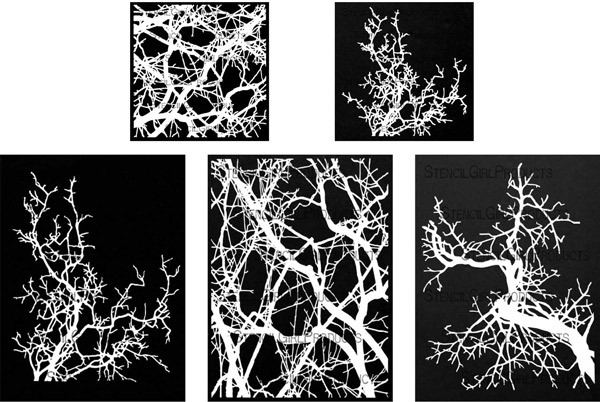 I am especially taken with Trish McKinney's "Branches and Patterns." 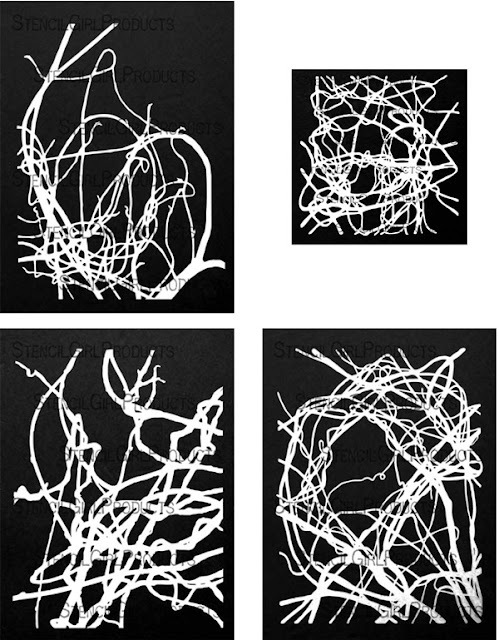 I share her philosophy of using stencils largely for abstract mark making. Congrats on the new releases. 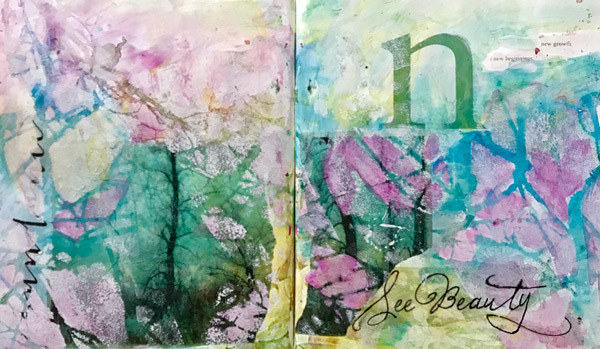 In love with Trish's Branches and Patterns & Mysterious Wisteria collections.